Annapurna is a Sanskrit word which when broken down, would mean, "Sustenance" and "filled with". So the name would translate into "The Goddess rich in Sustenance" or simply "The Provider". It was first climbed by M. Herzog & L. Lachenal in 1950. The Annapurna Himal and the Lamjung Himal stretch from the Kali Gandaki in the west to the Marshyangdi in the east. Four summits make up Annapurna with the entire massif forming a barrier on the northern side of the Pokhara Valley in Nepal. The main summit stands to the west of the Annapurna Sanctuary. Little was known about the mountain until 1949when Dr. A. Heim from the windows of a Dakora aircraft viewed Dhaulagiri and Annapurna. The aircraft could not fly high enough for proper observation or for photographs, still the next year, June 3rd 1950, Annapurna was conquered. It was the first eight thousanders to be climbed; the French accomplished this feat. However, all the routes on the mountain pose severe difficulties and hence it is probably why fewer climbers have reached the summit in comparison to other 80000m peaks. 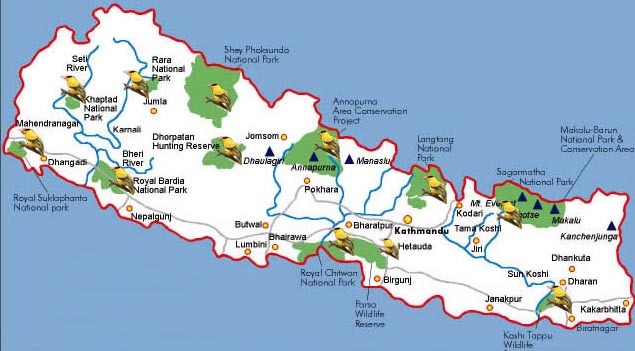 Nepal custom duty for import of expedition goods arriving into Nepal, cargo.